Feel free to read our blog. Curve is very pleased to announce that we have won a new client, Hill Dickinson LLP. 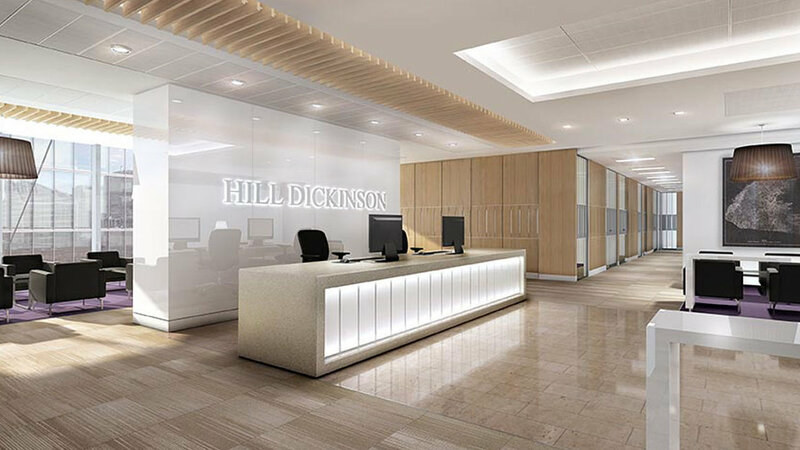 Hill Dickinson is a leading and award-winning international commercial law firm with more than 840 people across offices in the UK, mainland Europe, and Asia. 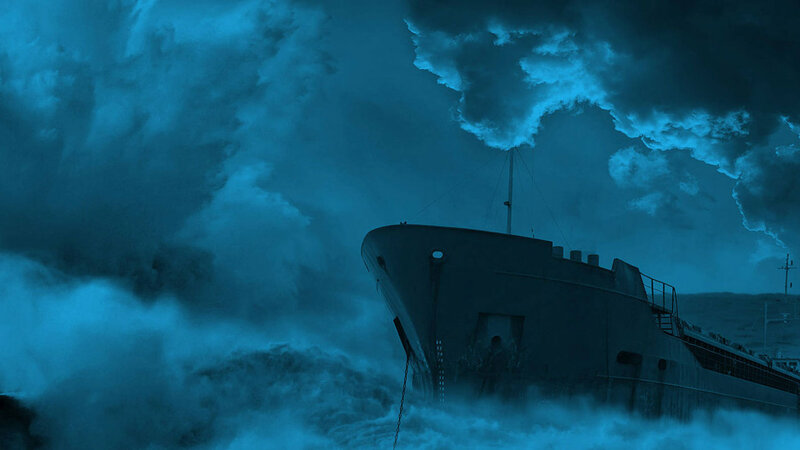 They specialise in Marine Trade and Energy, Business Services and Health. We have been working for the MECO Group for a number of years but in the last few months, we have been managing their social media presence. Curve Interactive are pleased to be working with Charity Retail Association based in London. 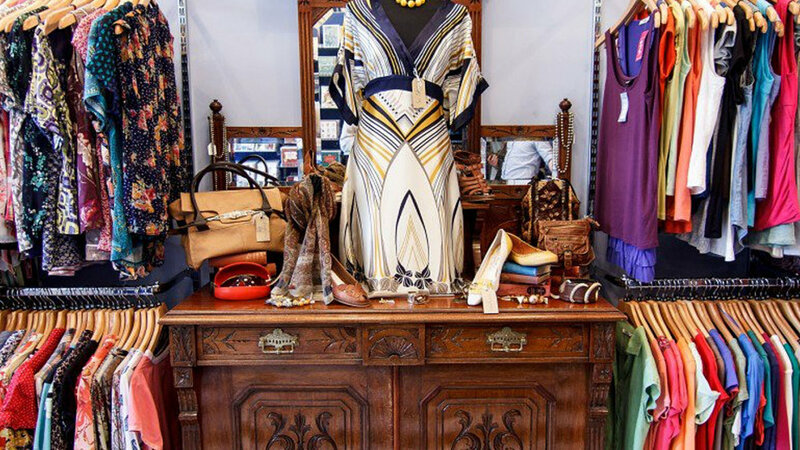 Charity Retail Association is the only trade association that represents the interests of charity shops and charity retailers across the United Kingdom. 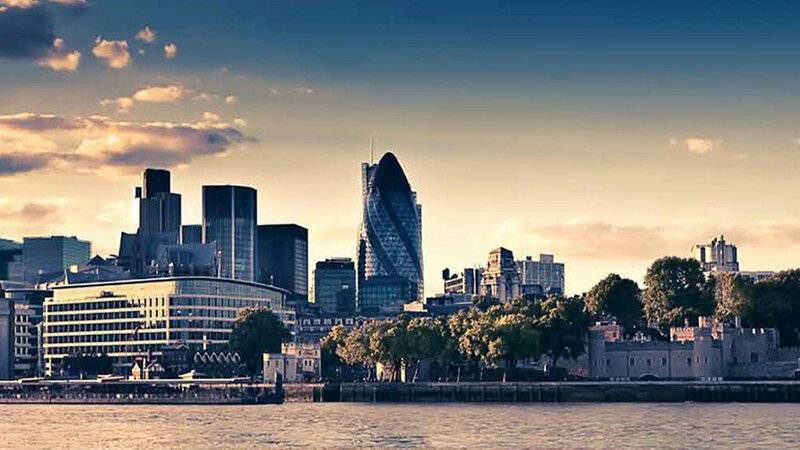 Curve Interactive are pleased to be working with Dart Capital based in London. Dart Capital is a wealth management company owned and run by individuals, for individuals. Their award-winning discretionary investment management business has been developed since 2008. Curve is very pleased to announce that we have won a new client, SafeToNet. 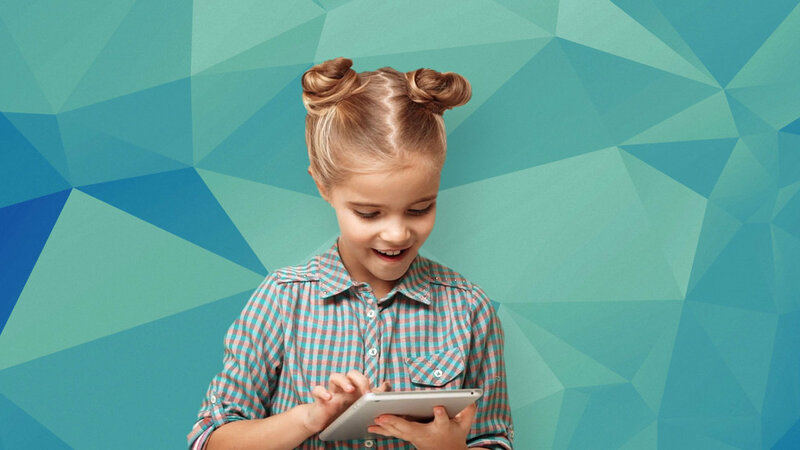 SafeToNet has been in the news in the last few months regarding it’s award-winning tools that liberate our children and young people to fully exploit the internet and to explore, communicate, socialise and learn in safety. We are pleased to win a new client in Monaco! Velo Monaco run luxury cycling holidays in this beautiful part of the world. 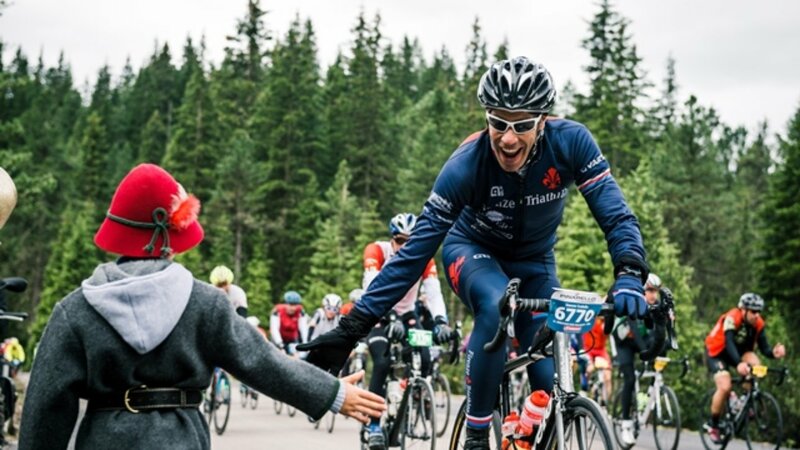 In fact the trips and personal challenges that they organise stretch from Monaco itself to France, Italy and Switzerland, anywhere really that there is a mountain! Veronica and her husband have been professional cyclists and have won Olympic medals and world championships. Together they plan and run the holidays around your bespoke requirements even bringing in helicopters to ferry your around. Following a Social Media review that we completed for our client Shard Capital in March 2017, it was decided that we would film and produce regular share portfolio and market blog films for them, for use across social media and also on the blog section of their website. 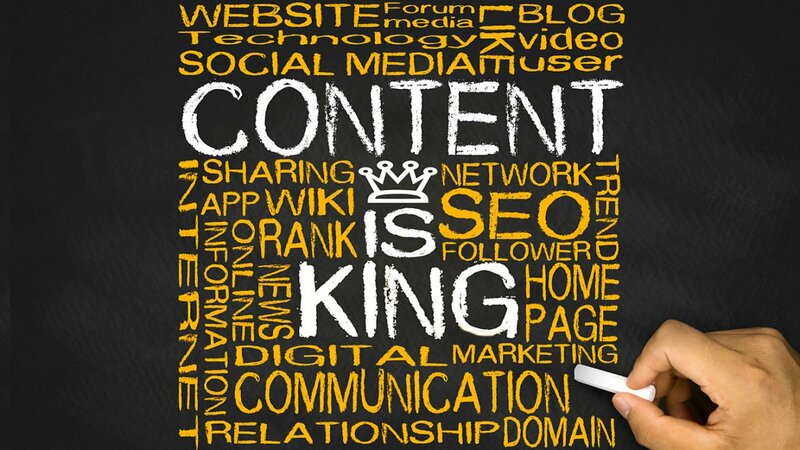 Content plays a vital role in SEO. If you get the structure of your website right, play by Google’s rules and deliver fresh content over time you will see dramatic increases to your online visibility. 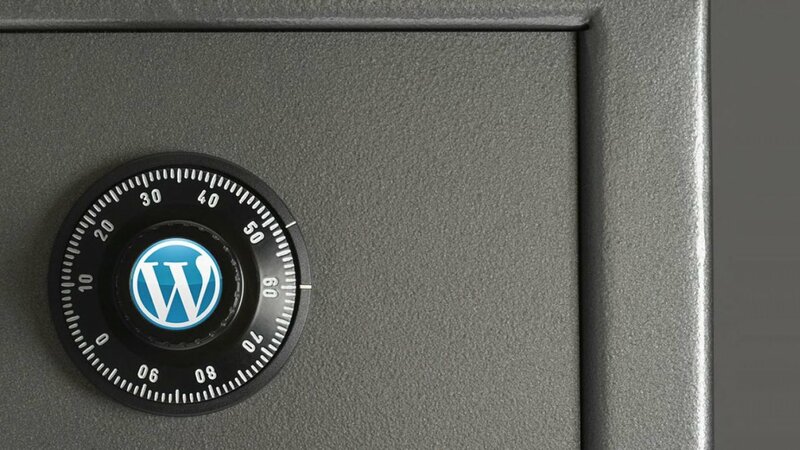 Is Your WordPress Website Safe? There is a real ongoing problem with WordPress websites being hacked. This problem is getting increasingly worse, due to WordPress’s success. It is estimated that 70% of the websites using WordPress are at risk. Along-side this threat we are noticing many organisations are not updating their software regularly on their website. Email marketing – is your data up to scratch? We often get asked by our clients to produce an email communications strategy in order to engage with their target audiences – this is all well and good, however when it comes to their data we so often find that it is lacking in many ways. Very often the database is completely out of date or has missing data, the email address has simple errors such as too many full stops; and the ultimate faux-pas, the contact names do not marry up to the corresponding email address. Refuge and the NFL are working together to promote equality and respect within relationships, to help bring an end to domestic violence and abuse. Curve worked with Refuge and NFL to create a website aimed at the young adults that attended the NFL training camps that were run in the UK during the Summer of 2015. High profile NFL Football players such as Thomas Davis, attended the camps and provided on-field training and tips to the budding young players. 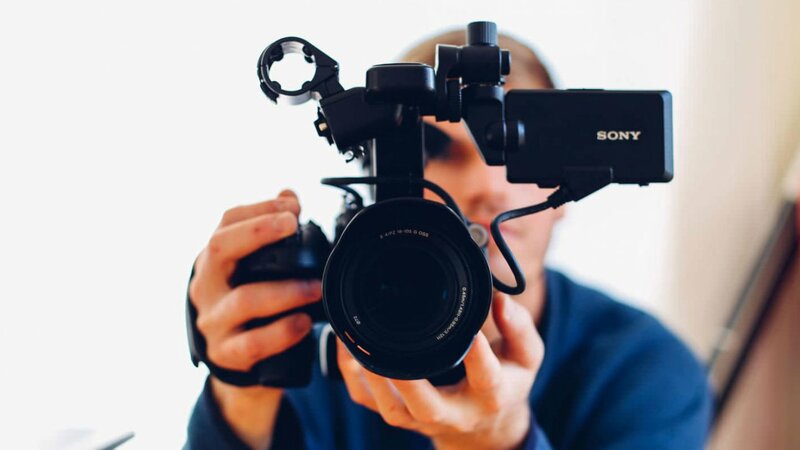 Film and video can be used in many different ways to convey your products and services to your customers. However, it can also be a way to communicate and engage with your own employees. It’s your employees who can give you the competitive edge; if they believe and live the brand then they will be your biggest advocates and you will reap the reward of their loyalty and belief in the company. So film content meant for internal use should not just be limited to training videos but be seen as a way of sharing and involving your staff in the success of the business. During some downtime over the holiday period I was reading ‘Make Me’ by Lee Child there was one particular piece that really struck me as a great analogy to understanding search engine optimisation (SEO). Wikipedia describes SEO as the process of affecting visibility of a website, naturally, organically or earned. If you are in the know that would make perfect sense, however Lee Child explains it in a much more understandable way. 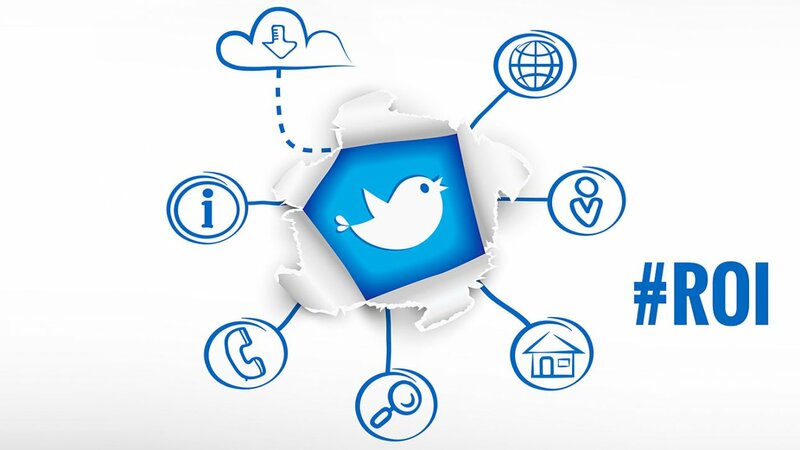 Social networks are considered to be a powerful arena for online marketing. It provides a direct and targeted way to communicate with chosen audiences, and requires less spending than more traditional marketing techniques. You’ve done all the hard work of making LinkedIn connections. 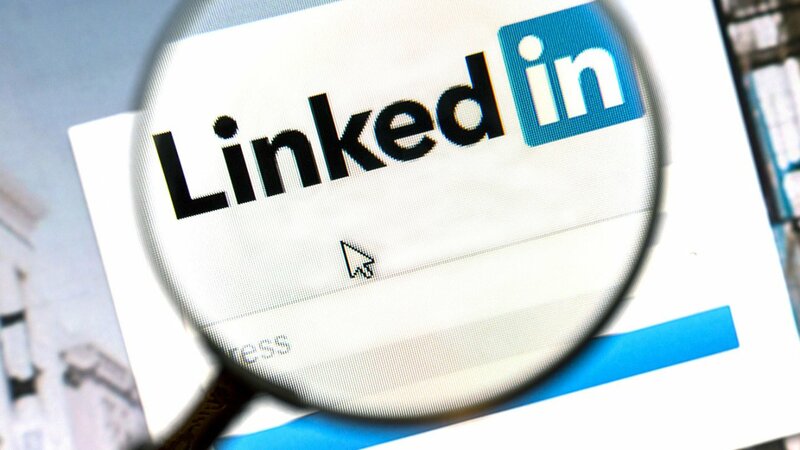 Do not fall into the trap of spamming all of your connections with changes to your profile – this has been assessed as the main reason connections break down via LinkedIn. You may decide because you have a new hairstyle or combing your parting the other way that it’s a good time for a new profile picture or subsequently want to re-phrase your job description, to include more skills that you currently do. LinkedIn has a nasty habit of informing all your contacts that you have made a change to your profile and in most instances no matter what the change to your profile is, it presumes that you have a new job when you don’t! 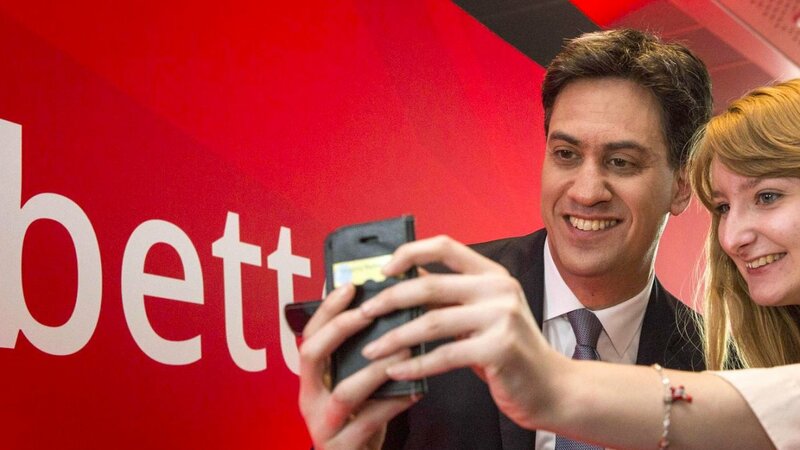 Can social media affect this next general election? Wonder why you hear more about politics on social media than you do on the TV or radio? That is because political advertising on TV and radio is banned in the UK. Political parties are using the opportunity of social media to get their message out to a potential audience of millions. We are required more and more often to come up with new passwords, most recently with ebay and the Heartbleed bug problems. Learning a new password can be a real pain. How many passwords do you try until you get the one that works? It has been recommended that we don’t use the same password across our internet accounts, but how on earth are we supposed to remember them all? This blog will show you a secure way to remind yourself of the most complicated passwords. The important part is to now write yourself a reminder for that password. One useful place to have it is in your contacts under the notes section. You will read it like this …. Spend some time thinking of 8 to 10 different questions. That you can ask yourself without having to write them down ANYWHERE, so only you know the answers. Use these passwords on any site where you order things or buy things. Don’t have the same password for any site. Mix and combine the above. You don’t need to use them all, the example I have given above is pretty extreme. Think of other variations that suit the clubs you belonged to etc. the only rule is that the first letter must not be repeated e.g. In my list C is always car number plate. H is always house number, so you cannot have H to designate house number and H to designate Hotel name. One final tip. Have a junk password for those really irritating websites that insist on you having a password to access their information, but where you really do not care if anybody knows it (these are often the websites that then email you back your ‘actual’ password as a confirmation ….. really secure!) Here you CAN use a pet name etc. At present 600,000+ Facebook accounts get hacked daily (Sophos 2014). This includes all your personal information, pictures and just about anything you put online. This is not only personally embarrassing, makes your business look unprofessional but is a major security risk to your personal details. There are different approaches to look out for on different social media channels, use these tips and pass on to friends and family to spot the signs. If you or someone you follow gets mentioned in a tweet, that is along the lines ‘Thank you, that was amazing.’ or something similar using the same tone i.e. awesome or hilarious followed by a link, and if you click on the link it will send you to a twitter log in page. Do not log in! You should never need to re log in once active on a twitter page. Otherwise it will send spam out to all your followers and so the cycle begins. Facebook hackers have a similar approach. This time its pictures ‘look at what this girl did at school…you will not believe it!’ or something similar with a provocative title (trap). It will then take you to Facebook login page, where you will be asked to sign in. You should not need to sign in again if you are already active on Facebook. If you do log in, it will approach all your friends and post some embarrassing posts on your wall, saying you have liked them. Hackers will never give up trying and will be trying different approaches soon, so how can we avoid being hacked? Use your common sense – Do not click on anything that looks suspicious and never put your personal details in unless you are 100% sure it is safe. Ensure that you have a suitable password. Did you know? It takes only 10 minutes to crack a lowercase password that is 6 characters long. Add two extra letters and a few uppercase letters and that number jumps to three years. Add just one more character and some numbers and symbols and it will take 44,530 years to crack. What should you do if your account has been hacked? Notify all your contact that potentially could be affected telling them what look out for and not to open any attachments from yourself. Ensure that all security software on your computer/device is up-to-date. Change your password to one with at least 8 characters, with symbols and numbers. Last year we at Curve Interactive decided it would be a good idea to offer free digital marketing advice to local businesses every day for 30 days in what we coined our #30DayChallenge. The local community of Tunbridge Wells seemed to think it was a good idea too with over 15 businesses signing-up for free marketing advice. Come the end of our last #30DayChallenge we had offered bespoke advice on everything from Email Marketing to Search Engine Optimisation (SEO). Due to the huge success of last years advice this March we are going to be rolling out the same offer with a particular focus on Search Engine Optimisation. 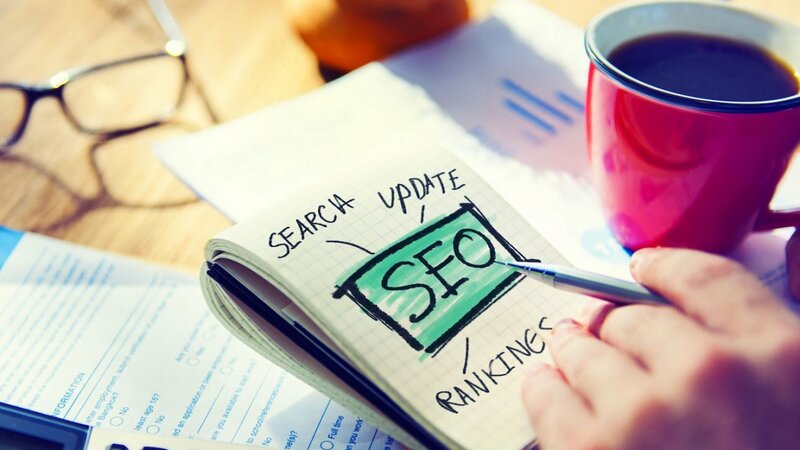 SEO is the art of improving the position of a website in the search engine results pages with the aim to increase website traffic and bottom line sales. Did you know over 70% of people use the internet when they are looking to buy a product locally? Making sure your business ranks on the first page of Google is vital for the continued success of your business. Do you know anyone who still uses the Yellow Pages? We want to help every business in Tunbridge Wells learn the basics of SEO and understand the importance it can play in the growth of your business. If you’re a small business owner you’ve probably become frustrated with the huge amounts of customers you’re missing out on a daily basis due to the fact your website does not appear on the first page of Google. In today’s day and age of “permission marketing” customers like to find information on products and services on their own terms before speaking to a sales representative. No longer does “in-your-face”, “push marketing” reap a decent return on investment. Google is now the turning point for local business transactions, in fact as reported by Moz over 80% of local sales now start from a search engine. If you search for “your product/service” in “your business’ location” what do you see? Do we need to choose? Everywhere you look on social media sites and groups there is lots of talk about Google+ taking over from Facebook. Princeton has published a paper this month that states by 2017, 80% of Facebook users will be gone. Facebook have hit back stating that Princeton will have only have half its current enrollment by 2018 and by 2021 no students at all. Yes, it’s the usual online bickering, but have Princeton got a point? One of Facebook’s competitors is Google+. Google+ are doing things differently, they are providing businesses with choice. Scary as it may sound businesses can now decided which platforms best suit their audience be it B2B or B2C. Google+ not only adds to that choice it also enables users to direct post, pictures or videos to a set group of target audiences. These can be as direct as old customers, new customers or potential customers through ‘circles.’ Circles, which can be split into old, new and potential customers – so that marketing, can be direct. Another major plus point in Google’s favor is the issue of search engine optimisation (SEO). Facebook cannot compete with this it is one-way traffic, with over 90% of people searching via Google. Posting on Goggle+ enables a quicker and better route to being higher up the SEO. At present there are no adverts on Google+. Not only is this a benefit to the customer, but also to the business. Businesses will be faced with a cleaner interface, which de-clutters the brands message. When businesses post on Facebook only 12% of their ‘liked’ followers will be able to see their posts, due to ‘Insights’ set up by Facebook, unlike Google+ where 100% of followers/friends will be able to see their posts. (2012, Kawasaki, G – What the Plus! -Google+ for the rest of us). For Google+ to succeed it will need more users. As of 2013 it already had over 400 million users, with Facebook having roughly 1 billion. Facebook is winning the war on users, but Google+ is creeping up with 925,000 new users joining everyday (leveragenewagemdia.com). For Google+ to succeed this increase will need to be consistent. It makes sense that businesses would benefit and be ahead of the game by being there waiting for when their customers arrive. The growth of social media in recent years has led many people to believe that email marketing is in decline. However, this cannot be further from the truth; you just need to check your inbox to see that email is still thriving and as effective as ever. Email marketing provides the most direct line of communication between you and your customers. It has the ability to increase conversions, build relationships and keep your business in mind when potential customers reach ‘purchase mode’. Have a look at our infograhic below for best practice tips on designing and building and email. We are into day 3 of our challenge and so far have supplied 4 businesses in Tunbridge Wells with detailed reports on how they can increase the amount of sales they are making online. However, our advice to them has not stopped! We will be going through the reports with each of these businesses in person, showing them exactly how they can implement the recommendations so they can continue to grow their business’, increase brand awareness and make more sales. The Barn is a beautiful restaurant, bar and wedding venue based in Tunbridge Wells, Kent. We started working with The Barn towards the end of June 2013 after our successful local marketing campaign was rolled out. In the four months since we have achieved some absolutely remarkable results. We were tasked with the running of The Barn’s SEO campaign with an aim to increase both targeted website traffic and in turn bottom-line sales. The first step in our quest to achieve these goals started with a detailed look at which “keyword phrases” to pursue. With the aid of the latest SEO tools we analysed the competition in the local area and the search habits of Google users to come up with a list of keywords we felt would be most profitable for The Barn to target. Our final selection of keywords included phrases that The Barn’s website (at the time) ranked on page 10 of Google for. Considering 90% of all Google users never visit the second page of results you can imagine how much interest the “non-SEOed” website was generating! Step two involved us reviewing the website from an SEO perspective and we noticed a large number of on page SEO best practices were not being implemented. Our search engineers then set to work applying their detailed keyword research to the website architecture. This included editing title tags, headings, URLs, and alt text attributes among over things. In doing so The Barn’s website then became ‘relevant’ to the keyword phrases we had selected. Step three of our SEO process began in the drawing up of an extensive link and citation building strategy. This strategy combined with the on page SEO and keyword implementation make up the basis of our SEO program and in the 4 months since we began The Barn’s website rocketed from SERP (search engine results page) 10 to SERP 1! For example, 4 months ago the search query “pub in tunbridge wells” resulted in The Barn’s website appearing in 109th position. Today the same query results in a 4th place position! The result of this has been a huge increase in targeted website traffic. Since the start of the year we have gone ‘live’ with two new websites for Fisher Leisure and have a third in the pipeline which is likely to be finished in the next two weeks. We are extremely happy with the end result of each of the new websites, each of which have been designed for Fisher’s 3 new in-house cycling brands. This means it is now ëlegalí to hold ëComment and Like to enterí contests on Facebook (this was previously against Facebook policy). This type of competition has great advantages in the momentum it can create your page with Facebookís EdgeRank algorithm. Moreover, with this news it is now possible to create a Facebook competition that will work on mobile devices. Previously, businesses could only administer a competition through third party applications which are still not supported by Facebookís mobile app. This is fantastic news to marketers the world over who were previously frustrated by the limitations of mobile Facebook competitions. What do you think of the change in policy? Let us know in the comments below. There are hundreds of ‘on-page SEO’ best practice guides online, but none are quite as comprehensive as this. We’ve worked hard to pull together all the best on-page SEO advice in one place for your reference. The infographic below summarises our advice (click to enlarge), while below we go into more detail on each point. A page’s metadesciption does not directly influence its position in the search engine results pages (SERPs), however it is extremely important to the final human user. Let’s not forget that we are building our website for humans rather than search engine robots! Bearing this in mind it is of great importance that the metadescription is written in a compelling fashion to entice searchers to click-through to your website. We recommend that you test and measure a variety of different metadescriptions to see which works best for you. Each pages metadescription should be limited to 156 characters as this is the limit Google displays in search results pages. If your page does not have a metadescription assigned to it the first 156 characters from the page copy will be used instead (or a random string of text from you page that the search engine believes to be most relevant to the search). Aside from the overall content, the title tag is the most important on-page factor. It is a key relevancy factor that search engine robots use to understand the main topic of a page. Understanding this, make sure the first word in your title is that page’s target keyword. As you can see from our title tag at Curve Interactive we are now focusing on ranking for different variations of ‘Marketing Agency’. An exception to this rule can be made if your brand is extremely popular and a differentiating factor, in some cases having you brand name as the first word in the title can help you stand out from the crowd. All title tags should contain 70 characters or fewer as this is the limit Google displays in search results pages. The URL of a page is an important relevancy factor search engine robots take into consideration when ranking your page. Make sure you include your target keywords here. A good example would be; www.curve-interactive.com/on-page-seo. Danny Dover (expert SEO and former Moz employee) has pointed out that excessively long URLs may hurt search ranking positions. His research found that 2083 characters is the max length URL parsed by Internet Explorer. Similar research from Improve suggests the same. However, I would suggest using a maximum of 6-10 words separated by hyphens. A further factor to consider is the path of the page. An authority boost will be experienced the closer a page is to its domain homepage. Heading tags are important for both human readers and search engine robots alike. Use of keywords in headings is another relevancy factor Google takes into consideration. Include primary keywords in H1 tags, and secondary keywords in H2 and H3 tags. You have probably heard the phrase “content is king”- having great content will reduce bounce rates and increase visitor time on site. It is known that Google pays attention to these interaction-based ranking factors. Use videos, infographics and other multimedia to keep visitors engaged on your site. Keywords should be used in the first 50-100 words of a page, if not sooner. Several studies suggest that using variances of your target keyword can lead to higher rankings. It has been found that use of a keyword in bold and/or in italics has a minor impact on search rankings. Before uploading images to your website make sure file names have been optimised. Name image files the keyword the page is trying to rank for e.g. on-page-seo.jpg rather than IMG0192093.jpg. Add an alt text and title attribute to each of your images using the target keyword and/or variances of it. In some circles it is thought these factors directly influence your search position. Having high level content can show your content is unique and provides value. It is believed linking out to authority sites helps send trust signals to Google. Moreover, it is thought that the contents of the linked to page can act as a relevancy factor. Try linking out to authoritative pages that refer to the same topic. This relatively new ranking factor has a slight impact on your ranking position. It also affects usability. Google offers site speed tests and recommendations. Similar to the above, link out to useful complementary web pages. This builds trust. Content that is identical to that on another website or page on your domain can negatively influence a sites position in the search rankings. It can actually lead to a search engine penalty. It is recommended that less than 150 outbound links exist on any page. SEO juice is leaked to each of these pages so try to number them. Social signals are becoming more important to search engine algorithms. Although not fully tested, the number of Likes, Tweets and shares has a small influence on your pages visibility in the SERPs. It is a good idea to include social sharing buttons for this reason + the opportunity that more people will discover your content via social media channels. Google CEO Eric Schmidt: Within search results, information tied to verified online profiles will be ranked higher than content without such verification, which will result in most users naturally clicking on the top (verified) results. Link your Google + account to your website to receive this ranking factor. Doing this also adds an image to your page result in the SERPs and this has proven to improve click-through rates. It is also thought that the more authoritative you are on Google + the more ranking power a page authored by you will be given. The number and the quality of internal links pointing at a page will influence its importance on its own domain. The more powerful internal links pointed at it the higher it will rank. The priority of a page on a domainís site map has also been proven to affect a pages visibility. The content on each of your pages should be over 450 words. Try to avoid anything less so the content of your site doesn’t seem empty. It’s May! Our Free Marketing Tuition Continues! Today marks the 20th day of our #30daychallenge to help every business in Tunbridge Wells with their digital marketing strategies. We have attended several networking events in TW in the last few weeks and have met some lovely business owners and employees! We have been lucky enough to supply several of these businesses with free advice and tuition to help their businesses flourish online. If you are interested in our help don’t hesitate in taking advantage of this limited offer. Ring or email us today and schedule a meeting; 01892 549556, graham@curve-interactive. This blog post summarises some of the views of Paul Adams in his 2011 book ëGrouped; How small groups of friends are the key to influence on the social webí a book I highly recommend to everyone involved in marketing, sales or business in general. Adams explains that in order for a business to successfully launch a product or service it should look to structure its marketing message in a way that will easily influence people and encourage them to share it with their closest friends via word of mouth. In contrast to Malcolm Gladwellís famous ëLaw of the Fewí theory Adams explains that instead of a business trying to ëseedí its message with a small number of highly influential people a business should look to plant its message in easily influenced, interconnected groups of friends with little influence on a specific subject matter (the majority of the population). Successfully doing so will see a message reach a number of people through people they trust. Receiving a message via a friend rather than a stranger on the end of a cold call is far more convincing. Adams makes this point clear throughout his study. There are a number of strategies to influence individuals and groups of friends through social media. Studies by comScore and Wildfire have proven that creating a Facebook application that shows off an interesting aspect of an individualís personality is the most likely type of post to be shared on an individualís wall. This could be done through an exciting personality test or a specialist trivia quiz. Competitions and sweepstakes have been proven to create huge amounts of participation, but lack in their ability for generating reach as individuals do not share their entry with friends. Free Marketing Advice Day 9 Update! Looking back over the first 8 days of our #30DayChallenge to help every local business in Tunbridge Wells with their digital marketing strategy we have found a great deal about what local firms want. The issue most businesses are facing is the poor performance of their websites in the search engine results pages. The business owners we have been talking with want to be ranking for local keywords e.g. “bar in Tunbridge Wells”. How does your website fair? Do you rank on the first page? Luckily we specialise in Search Engine Optimisation (SEO)! We have been able to provide detailed SEO reports highlighting areas of improvement that will no doubt increase the performance of their websites, leading to more traffic, more sales and increased brand awareness. If you are interested at all in us helping improve your business’ digital marketing strategy please contact us today, we are more than willing to help! 30 Days of Free Advice Day 8 Update! As we draw close to the end of day 8 of our marketing challenge the number of business’s we have been helping has sky rocketed! We are now averaging 4 free website, search engine optimisation and social media reports every day! Barely giving us time to write our blog! Thanks for reading and speak to you soon! The most important part of an email is making sure it gets opened! And as they say, you don’t get a second chance to make a first impression so you have to make sure your from line and subject line are in great shape. These are the first things subscribers will see in their inbox so you need to make sure they are compelling, and make the subscriber want to open it. A bad subject line and from line can cause your email to get caught in spam filters, make your leads unsubscribe and stop people opening it. The ëfrom lineí is very simple to make perfect; it should just be your brand name, simple as that. An email subject line should be like a call to action and should start with a verb such as learn. download, or sign up. Subject lines must relate to the content inside the email! This may sound obvious, but it is often the case that the actual content of the email ends up have nothing to do with the subject line! This is usually because the sender is trying to write such an attractive subject line that what is actually in the email is forgotten! The call to action used in the email subject line should be repeated in the email copy. Use your brand name in the subject line. A recent study from Mailchimp found that emails were more likely to be opened if they included the companyís name in it. Creating a sense of urgency is a good tactic to use in conjunction with a compelling offer. One way to do this is to use brackets in the subject line. For example, you might be promoting an upcoming webinar and you want to make sure recipients realise this right away. Your subject line could be, ìLearn to Become an Efficient Blogger with Curve Interactive [Webinar in 2 Days]. As mentioned earlier you cannot afford to have your emails get caught up in spam filters. To give yourself the best chance do not use spammy words like ëfreeí, act now and offer. Also do not have all your words in capital letters or over use exclamation marks!!!!! I recommend keeping your subject line under 50 characters if possible. Having anything longer you run the risk of words being cut off. Each email client shows a different number of characters varying from 30 to over 80 but most show around the 45-50 character mark. If your email system allows it then try to do a split-test on a subject line. Test 2 very different subject lines against each other on a subset of the database and then set the main bulk of emails to be sent using the better performing subject line ñ usually based on Open rate. Take on board the learnings and then test again the next time around. Make sure the first few lines of your email copy are highly related to the subject line. Most email clients have a preview function which pulls out the first couple of lines of text, if this is consistent to what the email says and reinforces its points readers will have more reason to open it. 30 Days of Free Advice Challenge! As of April 8th 2013 our account manager, Josh Hamit, will be embarking on a challenge like no other. The aim of the challenge is simply “to get every business in Tunbridge Wells set-up with a profitable digital marketing strategy”. For 30 days Josh will be visiting local businesses in Tunbridge Wells and explaining to business owners exactly how they can use simple techniques to drum up more business both locally and nationally. The advice will mainly relate to improving a business’ position in the search engine results pages and generating more sales and awareness via social media. However, Josh will be happy to help you with any other marketing questions you may have! 70% of people use the internet when they are looking to buy a product locally, and therefore making sure your business ranks on the first page of Google is vital for the continued success of your business. Josh will provide free on-the-spot recommendations and advice that will help your business grow. Facebook (March, 2013) has announced in that it is set to change the design of the News Feed page (again!). However, unlike other drastic changes to the Facebook layout, this redesign hasn’t caused any major upsets yet! The new design is now much more photo-centric and on the face of things looks a lot less cluttered. The left panel has been completely redesigned and is very similar to the left panel seen on the Facebook mobile application. The right panel has also been made narrower, leaving a lot more space for the News Feed content. In short, the new design does look like an improvement. Chris Cox of Facebook has stated that the main reason behind the redesign is to make sure user content is shown off in the best possible fashion. The Facebook team believe this is best achieved by reducing the clutter around user content. In essence, the redesign is trying to move Facebook out the way as much as possible. New options have been added to the News Feed so users can filter content based on categories such as Music, Photos, Pages, Games and Close friends or their own custom categories. For businessís advertising on the platform it has been confirmed that the redesign will allow ìricher and biggerî Sponsored Posts (adverts). The redesign gives marketers a larger canvas to work with and the ability to make their paid adverts appear in specific News Feed categories. For example, Nintendo may want their adverts to appear only in the Games tab. Choosing to do this Nintendo will be able to target their adverts specifically to an audience that are looking at a related subject. A further benefit to businesses is the recent algorithmic change to what appears in a Facebook usersí News Feed. You may have noticed recently that images and videos now appear a lot more frequently in your News Feed and this is due to the change in the formula that works out what content should appear there. This coupled with a new design which looks to show off more visual content it is expected the prominence of branded visual media will increase further. This means you will be likely to see more unwanted Sponsored Messages. However, looking at it from a brands point of view the redesign gives businessís a great opportunity to get creative with their adverts. Interestingly, it is looking like the adverts in the right side panel will be phased out. This may be problematic for some marketers who rely on the ads as a cheap way to reach their target audience. It also may cause issues with Facebook users as it means businesses are pushed to use Sponsored Messages to reach their potential customers. Sponsored Messages are much more intrusive than the right side bar advertisements. In the wake of Facebook going public they are looking for ways to increase revenue streams and this is their latest shot at improving the companyís valuation. My worry is with more and more unwanted adverts appearing in our News Feeds will we all get frustrated and move to other social networks that are less advertisement heavy? I always thought we use the internet to find what we want, not to be bombarded with advertisements, we have TV and radio for that. In August 2012, Acorn Care and Education approached Curve Interactive to help raise awareness of fostering and acquire new foster carers at Heath Farm in Kent, which also runs a school for children with complex emotional and behavioural issues. Curve Interactive is a full service marketing agency that specialises in integrated marketing campaigns. We believe marketing should delight and stimulate great customer experiences across all media channels. Our ability to deliver superb value to you and your customers is something we pride ourselves on and is something we seek to improve every day. Having said that, first and foremost we believe marketing is about generating results. Using the latest marketing techniques we are able to track and measure every penny of your marketing spend. And from this we are able to learn exactly what is working for you and how we can refine and improve it further. Our dedicated team of marketing experts thrive on creating marketing campaigns that go above and beyond all expectations. We create marketing results that measure up ñ and thatís why we exist. Last month saw the launch of the Eastway Bikes website. This is the second website we have designed and built for Fisher Leisure – and with a third site to be completed in the next week we hope this is that start of a great relationship between Curve Interactive and Fisher. The 2 finished sites have been built to coincide with the launch of Fisherís new in-house cycling brands; U34 and Eastway bikes. Both websites have bespoke designs reflecting the unique look and feel each brand is looking to represent. Search engine optimisation best practices have been implemented throughout the build of each site, with keyword research and mapping being researched and planned months in advance. Furthermore, because the site is built in WordPress the client is able to uphold theses on-page SEO best practices as we move forward by following our simple advice. Due to the increase in the amounts of people surfing the web via mobile devices, responsive design features were taken into consideration in the initial build. The sites render differently when viewed on a smartphone or tablet compared to a PC and this is done to make sure the user is presented with the website in a fashion that is easy to read and navigate. Currently the websites do not have E-commerce capabilities, but with the future in mind enabling this in the coming months will not be a problem. We expect to turn this functionality on within the next 6 months. Overall we are extremely happy with the design of both the U34 and Eastway Bikes websites. In its simplest terms there are two main factors that contribute to your websites position in the search engine results page (SERPs). On page SEO this relates to all the code on your website and the way that it is structured. This includes, amongst several other factors; HTML heading tags, alt text, file names, URL structure, keyword density, internal link structure and use of bold and italic text. On page SEO amounts to around 30% of where you website ranks, the other 70% is dependent on the second factor; Off Page SEO. Off Page SEO/ Link Building this is all about how many links your website has from other websites. Every inbound link to your website can be classed as a ìvoteî in the giant popularity contest that is the internet. In short, the more links to your website from other websites the higher your site will rank in search results pages (SERPs). However, not all links are equal. Having links from websites that are authoritative and related to your industry will help drive your website up the SERPs much more effectively than getting links from a non-related websites. A SEO job requires in-depth keyword research and mapping before anything else in the process is started. After this is complete, all pages within the website need to be optimised in terms of copy, meta descriptions, rich snippets, file names, alt text, URL structure, schema tags, etc. for the selected keywords. SEO is an on-going process that usually takes several months of continuous effort building links before any change in the search engine result pages is seen. Link building, as mentioned earlier, accounts for around 70% of a websites position in the SERPs. Off-site content creation (which link back to your site). These could be blog articles, press releases, or social media updates – all are original and researched by our copy writers. Link reinforcement – Placing published content in media outlets on the web is great, but these pieces need viral growth of their own. Link reinforcement means sending social signals to each content piece. As a result, it is more credible and Google’s algorithm places more value in the content piece. Content publication – Our team partners with the top web publication sites and distributes your content for publishing. We carefully select sites that give you maximum visibility and draw in relevant traffic, improving the authority of your website in its space online. Often business owners ask me ìHow can I increase the number of ëLikesí on my Facbook page?î My standard response to this question is always amongst the following lines: ìThe key to creating a page with a large number of ëLikesí is to create a page that encourages user interaction.î And it is as simple as that, you need not focus on anything else. Creating a page that has fans interacting and engaging with content regularly will drive a pageís messages to the top of your fans ëNewsfeedsí. As you know, the reason you want a Facebook user to ëLikeí your page is so that in the future your branded communications via Facebook will reach their Newsfeed, hopefully creating brand resonance and future custom for your business. Facebook employs a complex algorithm that works out which content should appear on a usersí Newsfeed. If a user engages with a page regularly (looks at, comments, shares a post, high frequency of visit, etc.) the algorithm will distinguish that page as important to that user and will in return make future posts from this page feature more prominently in their Newsfeed. Contrastingly, if someone was to Like your page today, but never return or interacted with it, within a few weeks its ability to appear in that users Newsfeed is next to 0. Therefore, engagement is the key to Facebook page success! You must make sure every individual who Likes your page has a reason to interact with your content. Doing so will push your Page further through the social network and into the Newsfeeds of ëFriends of Fansí allowing huge growth in terms of numbers of Likes, in turn leading to increased web traffic and brand awareness. So I’ll say that again in a different way; to get more Likes on your Facebook Page you must first make your current fans engage with your page. When you have accomplished this Friends of Fans will start noticing posts by you in their Newsfeeds via their friend, and being the inquisitive species that we are, we know these friends will be taking a look at what their friend is doing. This is all tracked through Facebook’s built in page analytics. As a specialist digital marketing agency we send out emails every month for our clients. Along with measuring the standard statistics such as open rates and click through we pay particular attention to what email client (e.g Hotmail, Gmail) our emails are being opened in. 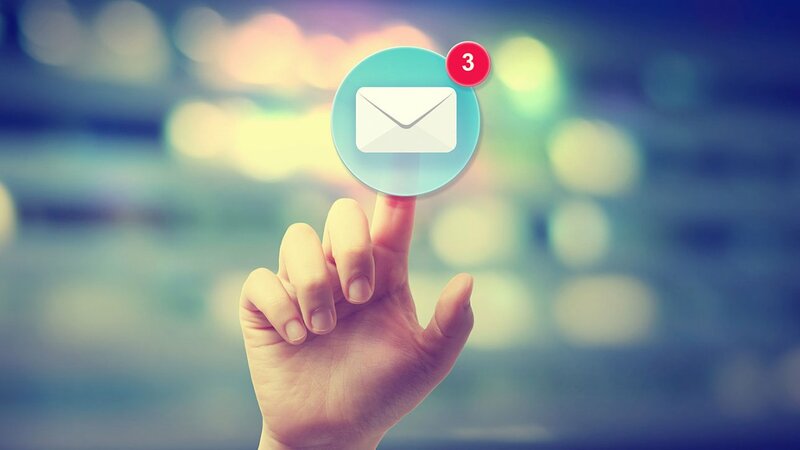 Each email client renders a HTML email in a different fashion and therefore it is important for us to understand where emails are being opened so we can make sure the design renders correctly in each one. However, there is one more important reason we pay attention to this stat. We want to see how the open rate on mobile devices increases over time. And it has come as no surprise that the number of opens on iOS devices (iPhones, iPad and iTouch) have more than doubled since the beginning of 2012. The % of emails opened in iOS on the other hand has more than doubled in the same time period. In January 2012 the average number of emails opened in iOS was 10.1%. 8.3% of these opens can be attributed to iPhone opens, 1.7% to iPad opens and 0.1% to iPod Touch opens. As of this August, the total number of opens on iOS devices had risen to 20.9%. We expect as we go further into 2013 the number of emails opened on mobile to increase further, but not as much as the trend above suggests. We expect the rate at which Outlook opens are falling and iOS devices open rates are rising to slow and reach a plateau at 54% and 28% respectively. What we are seeing is that more and more of our clients are adopting mobile strategies in terms of their email and websites. We can only recommend this behavior as the late majority of the population pick up their smart phones and start browsing the web and opening emails on their mobile devices. Emails and websites opened on mobiles without a responsive design are seeing very poor click-through rates so if this is something your business has not addressed yet, now looks the perfect time to take action! The latest research from the ëState of Digital Marketingí survey shows that SEO continues to be the leading channel for driving new leads online. The survey concluded that digital marketers cite SEO as their top lead generating tool. In todayís blog, we will go over the key findings from the research report. 59% of B2B digital marketing companies surveyed said that search engine optimisation makes the biggest impact on their lead generation efforts. This is a 2% increase from last yearís 57% – showing that recent changes to Googleís search algorithm have not made an impact on SEOís ability to bring in traffic and leads to businessís websites. In fact, perhaps the 2% increase could be attributed to the algorithm update increasing the likelihood of targeted users finding the content they need and thus making SEO more effective in its ability to generate leads. SEO continues to hold the majority vote, being voted more effective than the combined totals of social media and pay per click (PPC) advertising. We are at an exciting transition point. Will the masses of social media indulgers migrate to Google+ for potentially more value? Or will they stay in the comfort zone of what they know and love? There was a time when ‘Social Media’ was an exercise in sharing your daily activities, photos of dinners or family. It even progressed to ‘Selfie’s’, pictures you have managed to take of yourself not always considering what may be in the background. The consequences of this shift to other social media sites is going to require digging out another beautiful profile picture (we all hate it! ), more personal details to fill out, a different layout to familiarise ourselves with, friends to find again, but on a positive, the excitement at ‘crushes’ being friends with you all over again! Friends, colleagues, customers will all be under one roof, no flicking between Facebook and Twitter trying to find individual people or companies, they will all be under one search of their name in Google+. A recent study indicates that only 12% of Facebook updates (2012, Kawasaki, G – What the Plus! – Google+ for the rest of us) are being seen by all your friends as opposed to the 100% on Google+. It’s a no brainer. Why be their friend if I can’t see what they say and they can’t see my amazing posts and updates without doing a direct search? Google+ is set out in a clear and enticing way, like Pinterest, with information on friends like Facebook and opportunity to follow celebrities like Twitter. Where Google+ gets really clever is with their ‘Circles.’ This is where you have the opportunity to focus your posts to direct groups that you create, be it family, friends, customers, work collages or celebrities. You can share with you family that little Bob has just done his first wee in the potty and then celebrate with your work colleagues the success of yesterdays pitch without the two posts crossing. Change can be good, …Watch out Facebook. The International Data Corporation has predicted mobile internet usage will surpass that of PCs and other wireline services by 2015. In the UK, the Office of National Statistics (ONS) has stated that 45% of UK internet users are visiting websites via mobile devices (e.g smart phones, tablet devices) with 17 to 24 year olds most likely to use a mobile device. The study found 71% of 17-24 year olds who use the internet use mobile devices to browse the web. Furthermore, according to the ONS report domestic internet use has also risen, but only by 4%, representing the slowest rate of growth since the survey began. 77% of households in the UK now have an internet connection and with this figure unlikely to rise much more it seems domestic internet usage has reached saturation point in the UK. With this news businesses up and down the UK are looking to rebuild their websites with the mobile market in mind. Mobile specific websites are popping up everywhere making use of new technology such as HTML5 and CSS3. These technologies allow a websites design to be responsive to the screen it is being shown on, so no matter the screen size ñ the website will look perfect. Without a responsive design most websites give users a poor experience when being viewed on a mobile device, leading to high bounce rates and frustrated customers. More evidence that every business should have a mobile website came in the form of Techmarkís internet usage study, conducted in August 2011. The study concluded that Mobile now contributes to 13% of all web traffic in the UK. And this figure is predicted to rise to over 23% by 2014. Ask yourself this question; if 1 in 5 visits to your website are made from a mobile device and your website has not been optimized for a perfect mobile experience how are those visitors going to feel? Do you think they are going to come back? And most importantly what chance do you think they have of converting? If the answers to those questions were; “frustrated”,, no and none you have realised it is time to sort out your businesses mobile site. Why do we feel the AA have the right approach? The AA has hit the right note with their approach to social media. They have a very clear balance between selling their product and keeping their audiences interested, with opportunities to actively participate. So what are The AA doing right? First and foremost they are accessible on every social media platform, as their customer base is varied so is their approach to social media. This gives them a cutting edge to reach the diverse needs of their customers. Their interactions over the Internet are consistent without being annoying. They keep their updates short with lots of video or photos. A study by Buddy Media states that posts with 80 characters or fewer receive a 27% higher engagement. Posts that include a photo album, picture, or video generate 180%, 120% and 100% more engagement respectively (2014, A, McCarthy, 500 Social Media Marketing Tips). The AA actively use these techniques on a regular basis. The AA shows a personal side to their business, they include their followers/friends in discussions and regularly acknowledge them by a like or re-tweeting. What can other businesses learn from the AA? As an AA follower they keep us engaged with their posts in a useful and exciting way, where we’re keen to participate and not feel pressured to buy more AA products, but know where they are should we need one. Curve open new office in Tunbridge Wells! We are extremely happy to say we have opened a new office in Tunbridge Wells. And since we have moved Landrover thought they’d bless our opening by filming their new advertising campaign outside our office! Or maybe it was just a coincidence, but I’m not so sure. Pause at 19 seconds to get a good view (the white, three-windows wide building). If you didn’t quite catch our office in the few seconds it appeared in the Landrover commercial you have another chance to view it below! We are wonderfully situated in the Pantiles in the Corn Exchange building. What are the Panda and Penguin updates from Google all about? Most organisations have finally realised the potential of social media marketing and have found themselves hopping on the social media bandwagon. However, just being present on the main social media platforms is not going to help out at all. You need to make your businessí pages easily found. Your brand needs to interact, create value and produce engaging content for its users to help reach your business objectives. One of the best ways to increase your brands reach is to create an engaging app for your Facebook page. So what kind of App can I build? 1. Sweepstake: Sweepstakes are similar to a lottery whereby the winner of the prize is selected randomly. A user would enter their name and any other information required in return for a chance of winning. 2. Giveaway: Similar to the above, a giveaway application works by users inputting their information via a ësigning upí form in order for a brand sponsored giveaway. 3. Pick-your-favourite: This app allows a user to pick their favourite from a selection of pre-determined items e.g a selection of photos depicting different holiday destinations. 4. Trivia: A trivia application gives users multiple choice answers to users to test their knowledge on a subject area. 6. Coupon: Just like the paper form, this app would allow users to print off vouchers to use instore. 7. Video, essay and photo contest: These three apps function identically except for the type of media the user is called upon to upload. Winners of the contest can be determined either by an administrator at the company or by a public vote, or by a combination of the two. What App generates the most engagement? Wildfireís study looked at the results from over 10,000 Facebook campaigns over the last 9 months and concluded that ësweepstakesí, ëgiveawaysí and ëcouponsí made for the most engaging applications. More users interacted and engaged with these types of apps than any other. The reasons behind this include the perceived value of the sweepstake prize and the chance of winning something for minimal effort (low barrier to entry). However, Wildfireís study also identified another interesting trend: the most entered campaigns are not the campaigns which generate the most sharing. When focusing on the ëearned mediaí campaigns can generate it was found some applications are inherently more ìshareabaleî and therefore more likely to go viral than others. The campaigns that saw the most sharing were ëpick your favouritesí, ëquizzesí and ëtrivia contestsí. Whatís the reasoning behind this you may be thinking? Well, these apps publicly display a userís personality, characteristics, style, aptitude or thoughts on a specific subject area. Users enjoy sharing this sort of information about themselves as they believe it will make them look good in front of the rest of their social network. 2. Display facets of their personality that they know about and want to share with their friend list. Users who post the results of their favourite image/their score in a quiz are actually showing off. When designing a quiz it is therefore important to look at the results the quiz will generate. When a Facebook user clicks on a newsfeed post from a friend participating in a quiz a massive 82% of them go on to take the quiz themselves! This is an extraordinary large figure and should indicate to all page owners that they need to work a quiz application into their social media strategy. When designing your businessí social media content it is important to understand and consider the behaviours and interactions that will inspire the end user to enter and share you brands content. Wildfireís study proved that if an interaction with a brands page will show off their individual style, aptitude or personality that they will be more likely to share the results on their newsfeed and to the rest of their friends. Therefore, if you chose to design an app that allows a user to express themselves, first of all make sure the results of the quiz make an individual feel proud to share their results. For example you may have a quiz that asks a number of questions to find out a users personality type. How a user answers each question will help categorize individuals say into 4 different personality groups. Make sure, whatever result a user gets, that description the application allows a user to share on their newsfeed is one a user will actually want to share! The marketing team behind the launch of the recent Dark Shadows movie have used these best practices to great effect by creating a beautifully designed quiz app for their Facebook page. The quiz asks a series of comical questions related to themes around the movie which then determine which character from the movie a user is most like. The results a user receives from the quiz are compelling and humorous and show off a userís personality in a creative way. This resulted in large amounts of sharing which could have only helped more people know about the existence of the movie. A further best practice Wildfireís study uncovered was the importance of incentivizing sharing behaviours. Consider building in to your app some elements that rewards users for sharing and posting. Mountain Dewís recent ìDew Crewî campaign does just that with its intuitive sharing options that encourage users to use the applications features and share it with friends to score points which can be used to redeem branded merchandise. I would encourage everyone to take a closer look at this Facebook application as I believe it is the benchmark for every future social media campaign to come. The application includes quizzes and incentives to share. Moreover, it incorporates the benefits of ësweepstakesí and ëgiveawaysí with the ease of entry and the ability to earn a valued reward for little effort. The application is highly interactive, is branded superbly and is simple to use. It gives users a reason to come back (earn more points, unlock more free goodies) and also uses a small part of the screen to earn money through selling advertising. 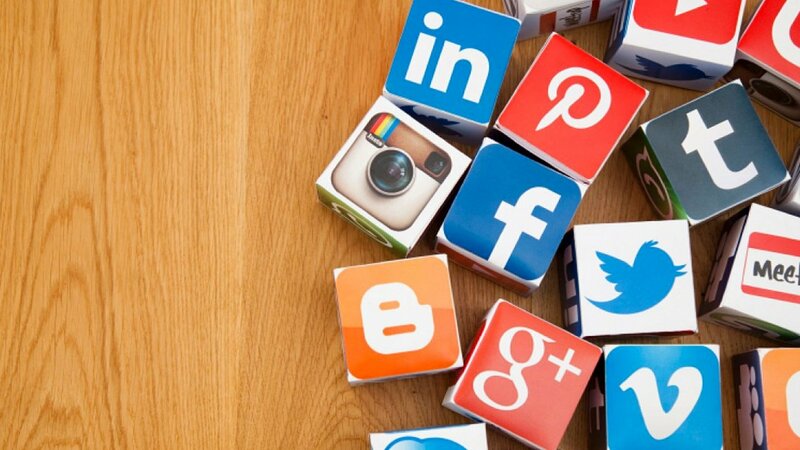 A strong social media marketing strategy is one that approaches the creation of branded applications and content for users from different angles. A social media campaign should be broken down in to different parts; one part of the overall campaign should be designed to achieve high participation rates to capture user information (email addresses, names) for future marketing. Other aspects of the campaign should focus on getting users to share the application with as many people as possible to enhance brand reach. This can be done by creating several different applications that sit of your brands Facebook page or by creating one application that covers both aspects at the same time. I would recommend building one application that covers both aspects, but would also encourage creating several other smaller apps that focus on each of the individual objectives.